When Earth is threatened with total destruction only Jackie from That 70’s Show can save us. 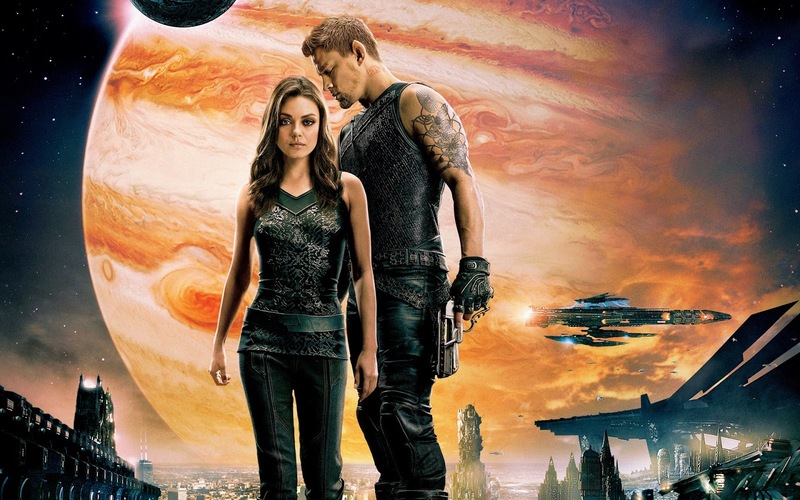 Jupiter Ascending is from The Wachowskis, who you can only assume have the ability of mind control for convincing Warner to give them $175 million dollars on the idea of Channing Tatum as a space elf and Mila Kunis as queen of the universe. Jupiter is a waitress in a diner when Boromir comes along and tells her she is queen of the universe. Sean Bean dies after one sentence because it is in his contract to die in everything and why waste the time developing his character? She thinks he is a psycho until Magic Mike XXELF shows up with a laser gun and huge package then she believes everything must be true. The baddie, played by Eddie Redmayne, who took a break from acting like a cyborg genius, wants to kill Jupiter and the easiest way to do this is to destroy Earth. He has a secondary motive also. He has plans for a galactic superhighway and Earth is in the way. Don’t think about space as a three dimensional thing. Just go with it. Jupiter and her huge elf love try to fend off the advances of evil. As Earth prepares to fall, Sean Bean returns from the grave and brings help. Ford Prefect, Christopher Eccleston’s Doctor and Delenn from Babylon 5 come with towels in hand to help Jupiter fight off the invaders. After the war is won everyone celebrates and Sean Bean dies again because, yeah. Evil Stephen Hawking escapes, and in a big sequel bait setup, we find out he was not behind the invasion of Earth all along. Zaphod Beeblebrox kills Redmayne, whose death scene is more scene chewing than Tom Hardy in Star Trek: Nemesis. He vows to make Jupiter pay for interfering in his galactic roadwork. Wonder about the love story with Mila Kunis and Channing Tatum? Can they make it work being from different species? Just read Saga to see real character development. 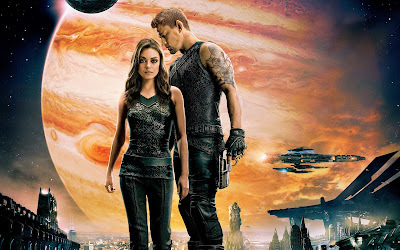 I can’t wait for Jupiter Ascending: Reloaded when they show the city of Zion and everyone in the theater wonders what the hell is going on and don’t even bother to go to the theater for the trilogy capper, Jupiter Ascending: Revolutions.